Sienna will be playing The Baroness in the upcoming film G.I. Joe. She had to change her whole outlook on the concept of working out. The featured workout below is not for the faint of heart. Not really known for having a rock hard body, Sienna Miller had to change her whole outlook on the concept of working out when she landed her latest role as The Baroness in the Hollywood blockbuster, GI Joe. This new role required her not only to look the part, as she had to wear a catwomanesque leather suit along with Lara Croft style gun holsters, but she also had to play the part as well. There were many physically demanding scenes in the movie requiring Sienna to study some martial arts; she went so far as to hire a former MI6 secret agent as her fight scene instructor. Just to clarify, MI6 is the same agency for whom the famous James Bond served. So what did Sienna do to transform herself from the Slim-Jim, couch potato that she was, into the lean, mean, fighting machine that is now the Baroness? Outlook On The Concept Of Working Out. © 2009 - Paramount Pictures. Her trainers became very creative here and actually took into account all that was required for her role as The Baroness. She did biking, martial arts (in the form of boxing primarily), and of course, old faithful... weight training. Why biking? Biking has always been a great form of exercise and it is also a great way to see the countryside or any of the surrounding area in which you live and is totally suitable for the whole family. However, when you need to step it up a notch you should take to the hills as this gives you the added bonus of turning your cardio session into an interval workout. With the many hill climbs and descents and even flat cycles, cycling in the hills turns your pleasant outdoor excursion into a fat incinerating assault. 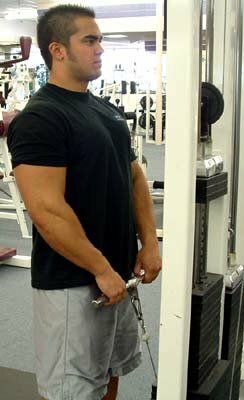 Most of today&apos;s scientific journals will confirm the fact that interval training is the way to go when losing body fat is the prime objective; the all out sprints force the heart rate high into the triple digits for short bursts, creating a prime environment for the total annihilation of fat. G.I. Joe: The Rise Of Cobra! Check out the trailer for the new movie, G.I. Joe: The Rise of Cobra, set to hit theatres August 7, 2009. The downhill and flat phases of the cycle are the recovery periods where the heart rate returns to a more acceptable level. This staggering up and down of the heart rate is the key to whole concept of interval training. Since The Baroness is a martial arts expert, it only made sense that this should be incorporated into Sienna&apos;s workout, and her secret agent trainer from MI6 did not disappoint. He based the workouts primarily on boxing, which is a great workout. Boxing is a form of interval training, 2 and 3 minute rounds of boxing followed by 30 - 60 seconds of rest and since Sienna was a novice, she had to learn to punch before she learned to kick, which is much like learning to walk before you can run. As her workouts progressed, the martial arts workouts began to utilize kicks along with the punching. Should Be Incorporated Into Sienna&apos;s Workout. Finally, no workout is complete without some resistance training thrown into the mix and Sienna Miller&apos;s Baroness Workout is no different. By introducing weight training, her metabolism was sent into overdrive, after all, the more muscle mass one is carrying to more calories are required to maintain said muscle mass, therefore your body becomes a fat burning machine! Sienna even managed to gain an amazing 5 lbs of muscle while preparing for her role. Please note that the resistance levels I have used can vary according to each individual&apos;s personal fitness standards and of course, the level of resistance will vary from one machine to another. [ Click To Join The Thread. ] Cycling! Who else is into road cycling? I just got into it recently and the furthest I&apos;ve ridden is about 60-70 miles and my fastest is 30 miles in just under an hour. If you decide to go outdoors, use the hills for your sprints and the downhill runs and flats as your recovery. If cycling on primarily flat ground, use a time frame of 60 seconds sprint and 2 minutes recovery. You will of course need to have gloves and hand wraps for this portion of the training program. You can choose between training on a bag, or if you have a training partner, focus pads. The breakdown is 2 minutes of boxing followed by 1 minute of recovery - go 5 rounds. It is important to note that you should not punch the bag as if you are Rocky Balboa, or that you ladies think that you have transformed overnight into Tatiana Ali. Type in the tag you would like to search for in the box below, then click "Search". Place your punches correctly to avoid injury. Sue combinations, round one - left and right jabs to the head, round two - left and right hooks to the head, round 3 - left and right jabs to the body, round 4 - left and right hooks to the body, round 5 - kick the cr@p out of that bag; use everything you have: jabs to the head, hooks to the body, you name it. 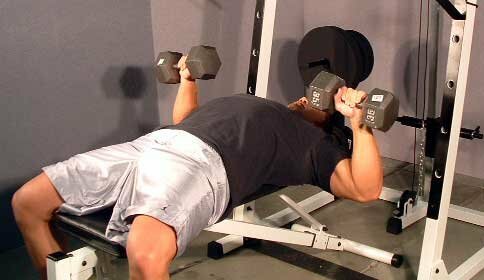 Dumbbell Bench Press: This exercise can be exchanged for regular bench press or push-ups and any variation thereof. 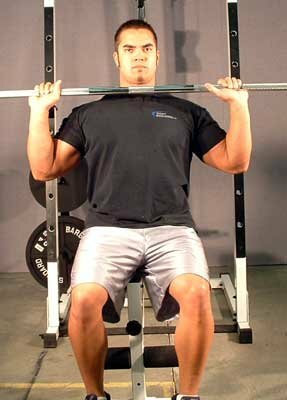 Military Press: This exercise can be done seated or standing and can also be done using a barbell, dumbbells or machine. 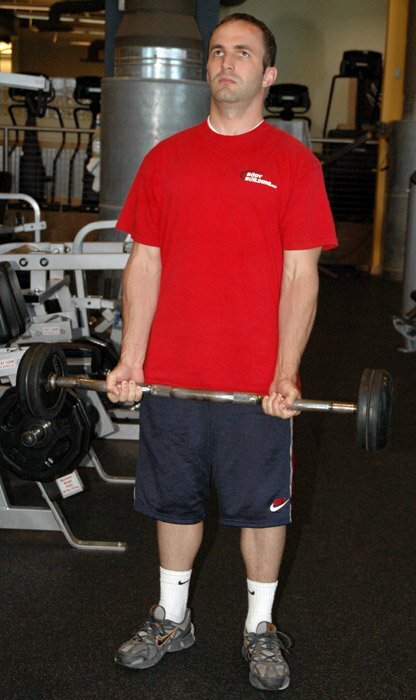 Biceps Curls: Free weights (barbells or dumbbells) or machines are fine here. 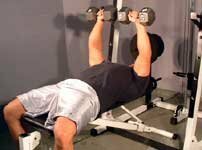 Triceps Extensions: Push downs or variations such as French press or skull crushers are good here. 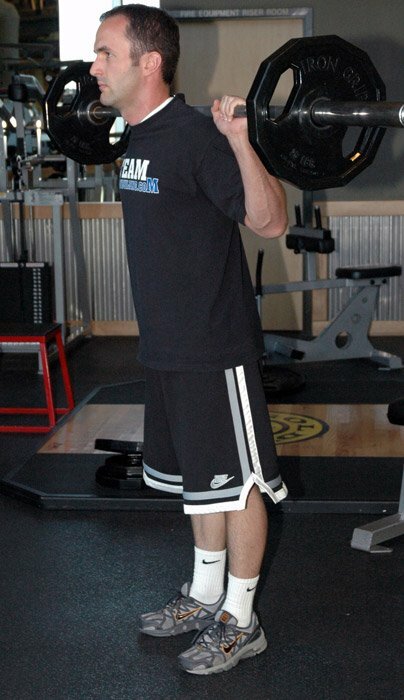 Kick Backs: A great triceps exercise, this can be performed either single arm or double. 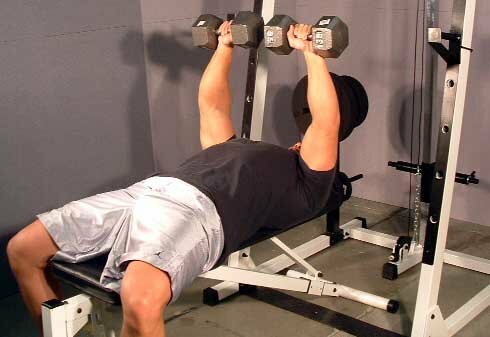 High Pulls: This exercise is similar to upright rows except that the weight is coming from the ground with each rep.
Crunches: There are numerous variations for the crunch or sit up. I personally prefer the crunch as more emphasis is placed on the abdominals. Leg Raises: Working the lower abdominals, this can be done with a bent knee or for the advanced trainer, keep the legs straight. 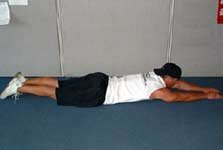 Supermans: This exercise is great for the lower back, and can be done lying or kneeling. The aim is to stretch out with opposing arm and leg simultaneously, emulating the man of steel. 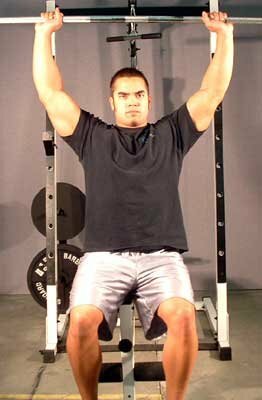 Back Extensions: This exercise can be performed either lying in the ground face down or on a bench where a greater stretch can be obtained and also more resistance added. Cross-Body Crunch: Keep the lower back on the ground and as you crunch, lift a knee up and twist your arm towards the opposite knee. So, it would be right shoulder left knee, left shoulder right knee. Roll Ins: This is done using the Swiss ball. While lying on the floor, place your legs on the ball and adopt the press up position. From here, roll the ball toward you by bringing the knees in towards the chest. This is a great core exercise. Lunges: These can be done with a barbell across the back or dumbbells by your side, alternating legs with each repetition. 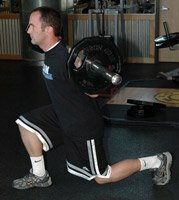 Squats: Either machine squats or free standing. This is a great exercise for hitting the thighs and glutes. Step Ups: These can be done using only your own bodyweight and add weight as strength and endurance increase. 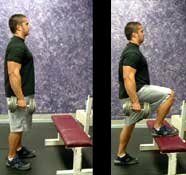 Step up onto a bench, and back down again, alternating the leg you use to step up. 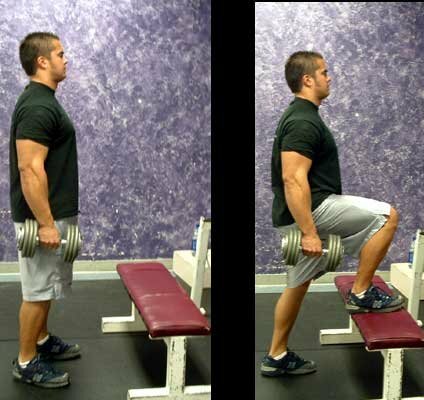 Dumbbell Lunges: This is one of the best exercises for leg and glute development. 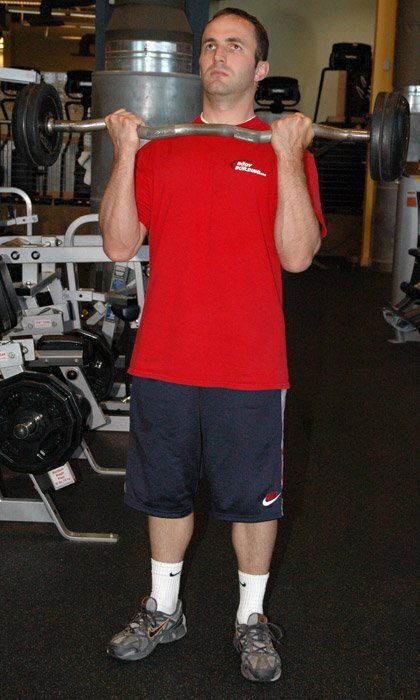 Your own bodyweight is sufficient, but can these can also be performed holding dumbbells. 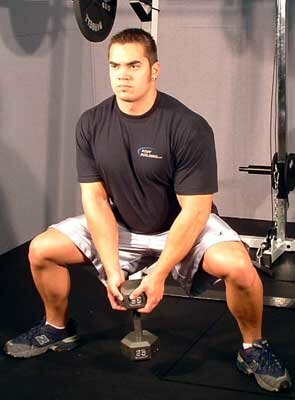 Plie Squats: Holding a single dumbbell in between both hands, point your feet outwards and squat down. 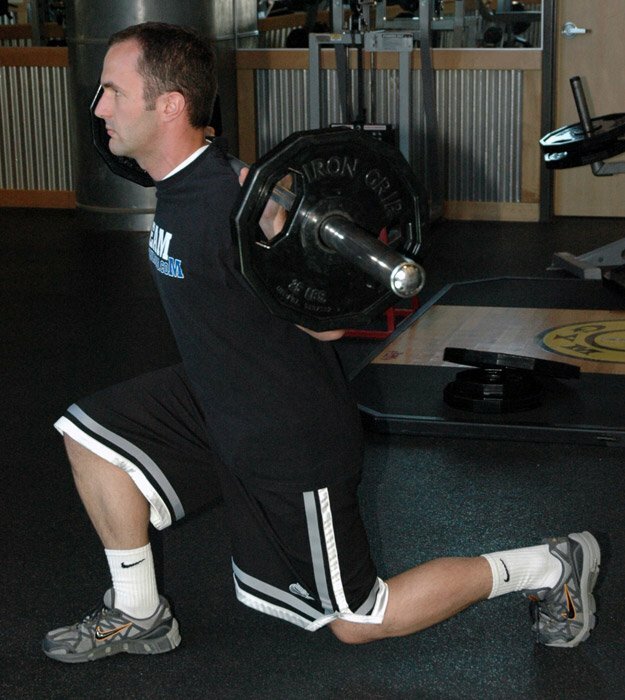 This exercise really emphasizes the involvement of the glutes. Not a workout schedule for the faint hearted, but it is guaranteed to get you into the best shape of your life, however it may have a side effect in that you will become a lethal weapon. So what are you waiting for? Get your boxing gloves on and kick some arse! You Will Become A Lethal Weapon.